Sterkowski is a family run business started by Anna Sterkowski in 1926. 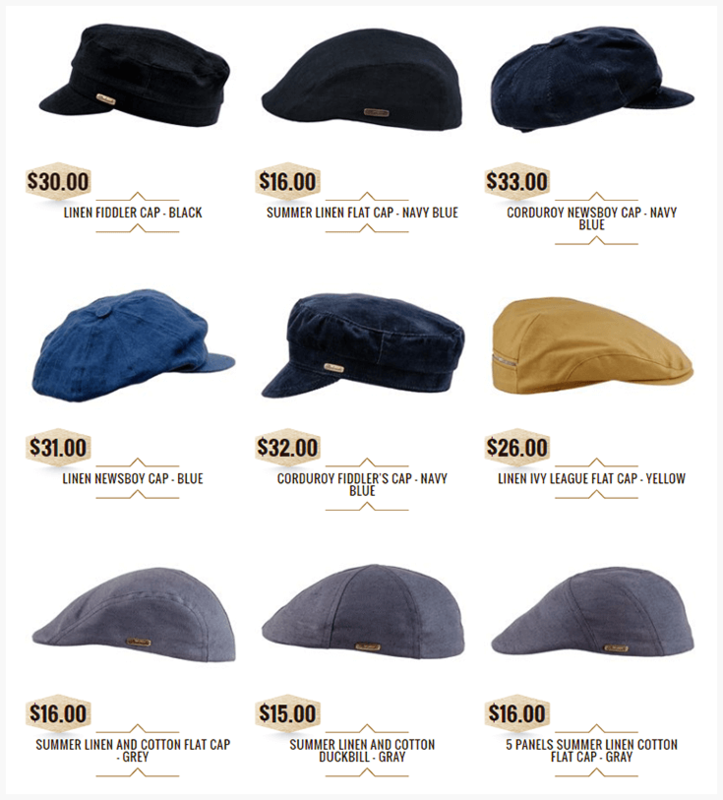 Since then, the family is actively involved in making superior quality hats, caps, and berets. Slowly after the inception, the brand started gaining popularity in the foreign countries too due to their ethnic style of hats & caps. This fast growth allowed them to put emphasis on providing a convenient medium for their foreign clients to buy their products online. As a result, they started with their online business with a PrestaShop store and gradually started selling their products across 13 different channels, which includes Amazon (ca, .it, .de, .fr, .es) marketplaces, eBay (Australia & Ireland), and Etsy. Managing Inventory across 14 different channels was a major problem. Efficiency & control was something that they wanted in order to get maximum revenue from all the channels. They use a PrestaShop plug-in which syncs orders from Amazon and eBay. However they were looking for a solution which could take multiple orders from different channels and bring it to a single back-end, and allowed them to have full control over inventory levels. To maintain accurate inventory levels across different channels in real-time. Limited accessibility to accurate business data. No real-time tracking of the growing volume of online transactions/sales orders across all selling channels. After detailed analysis, the experts at Orderhive developed a customized solution which now takes care of all the unique features and workflow that the company needed. In the Orderhive system, the inventory is updated across all the channels if the SKUs are similar, however, apart from this feature, Sterkowski also wanted a feature to update inventory store-wise. Their Orderhive Plus account has this option under Manage Channels page. With their existing PrestaShop plugin, orders placed on Amazon and eBay get imported into PrestaShop back-end. We optimized the sync process in a way that only the orders placed via the PrestaShop store get imported in Orderhive Plus account. This process ensures that no duplication of data happens due to a third-party plug-in. Fulfillment latency (Handling time) is the number of business days between when the merchant receive an order on Amazon and when they actually ship. The merchants who are selling their products on Amazon need to provide fulfillment latency period, as it has an high effect on the overall ranking of the merchant on Amazon. Sterkowski need Orderhive Plus to retrieve latency period (no. of days) for each of the product and add to the actual date on which the customer has placed the orders, so that they don’t miss on timely delivery of the orders. To be precise, if the customer has made an order on the August 10 and the latency time for that particular product is of 5 days, Orderhive Plus triggers a message in the system, showing the expected delivery date as August 15 for that product. So the merchant can take appropriate actions regarding the fulfillment of the order. Due to this, Sterkowski raised up it’s fulfillment efficiency by 70%. The current avg ranking of Sterkowski across all the Amazon stores is between 4.5 to 5. The experts at Orderhive Plus designed an UI which allows easy navigation between the products & orders screen. By just right clicking on the product SKU, the page will redirect to the product detail page which includes product configuration details, product variants, etc. Similarly, in the orders page, the page will get redirected to the order detail page, from where the merchant can view the order information & can confirm it. After using Orderhive Plus, Sterkowski doubled their sales without adding additional staff. The core business functions are now easily managed by the family members. Also, they have managed to increase their order fulfillment ratio by 80% across all the 14 channels they sell on. Sterkowski started receiving inquiries where the customers were looking to change certain attributes of their ordered product like changing colour, size and other variants of the product. In some cases, the customers want to replace the ordered product with a new product. To offer what the customers want and enhance their ordering experience, Sterkowski decided to further customize their order processing system. They wanted to provide complete flexibility to their customer where in they can edit information of orders which hasn’t been shipped yet. As Amazon does not support this feature, they were losing some of their customers. To accommodate this, experts at Orderhive Plus have planned an “Edit Order”, which would help Sterkowski’s customers to change the colour, size and other variants of the product. It even allows product replacement with ease. We’ve also planned a feature which will allow Sterkowski to make a copy of the altered order along with the original copy of the order (synced from Amazon). The company uses Polish Post to deliver their orders. To centralize order fulfillment process too, we’re developing integration with Polish Post so that orders can be shipped and tracked within Orderhive Plus interface. Curious to know more about Sterkowski and their extensive product range, click here.